Coloured eye pencils have always been such a relief to me, it made my going-out, without any effort on eye makeup, very easy. Did Luscious Bold Metallic eyeliner serve the cause well? Yes it did! To Know More, Read More!!! 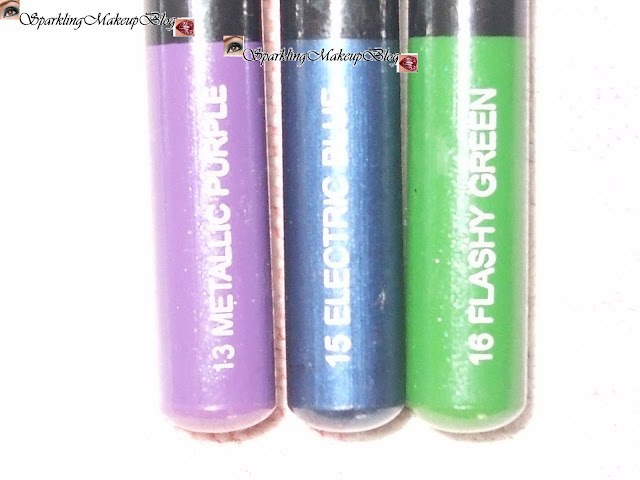 Available in 8 shades: I have 3, Metallic Purple, Electric Blue & Flashy Green. The pencils are Long Black pencils but the ends/bottom of these pencils are coloured as the shade of the pencils, well that's helpful in identifying these. The name and shade number is also inscribed on the coloured part. All pencils have Black plastic caps. Before these I had few eye pencils but mostly in Matte, ranging from blacks, brown and purple etc. These attracted me for being in glitter and nice shade range. I selected Flashy Green, Electric Blue & Metallic Purple. 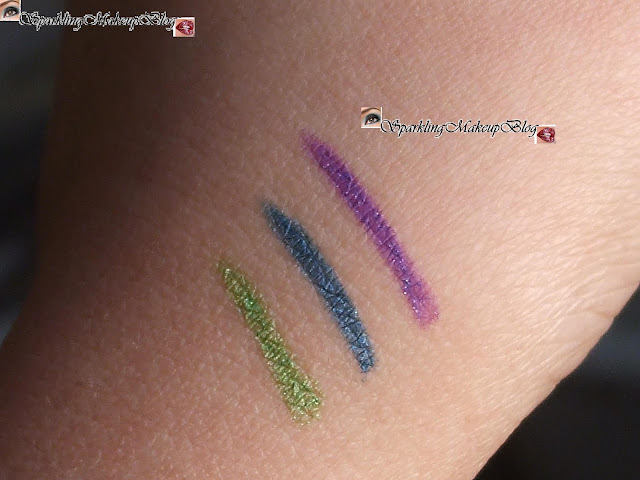 Blue and purple is my favourite shade for eye lining, flashy green is not my type but got it as the Peacock green was closer to Electric blue so wanted to try a different/lighter one. The quality of these pencils are good, they are water-proof but can be easily washed away with a cleansing foam or its better to wipe them with wet-tissues or cleanser. These do not fade quickly, so another claim of Luscious is proved. Do not smudge, thumbs up, but in Summers may be esp the flashy-green one as it smudged on me not the other two. I noticed that only the Flashy-green created a problem with me, may be I was not much convinced to buy it so it is like the naughty of the lot. It really melts in Hot weather and was a problem to sharp the tip. So this shade could not win my heart, wish I would have bought the peacock-green as it still has my heart on it. But never mind I can use it in my different EOTD's in future. 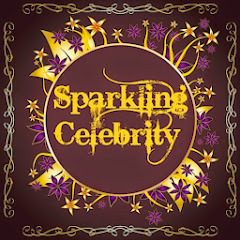 It is so flashy that I avoid it just for not making any statement...lolz. 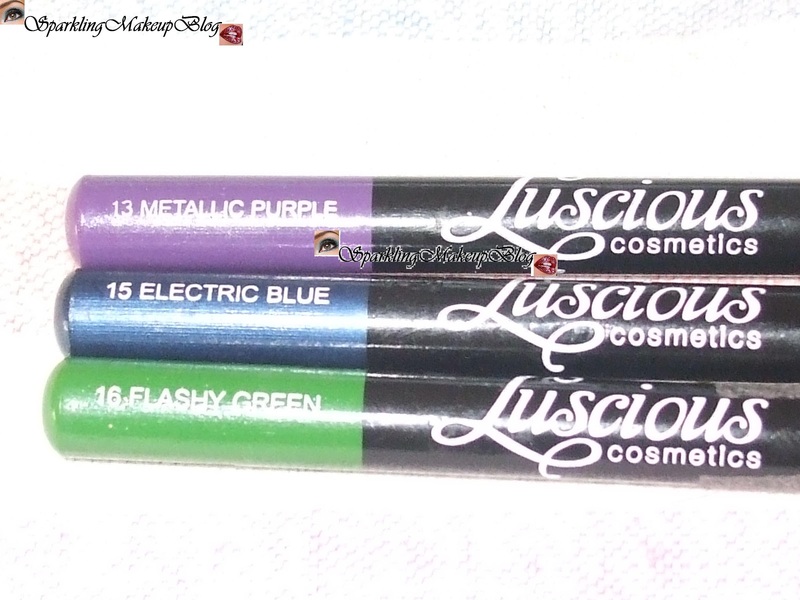 Electric-Blue and Metallic Purple are my love and my best friends as I can trust them anytime any where they never disappoints me:) They even stay for handsome amount of time on my eyes even in Summers. I used Metallic purple in my EOTD in this post. 3.5/5. and all this marks cutting is due to Flashy green's irritating behaviour. But I do recommend these to any one who wanna have wonderful glittery coloured eye liner pencils. 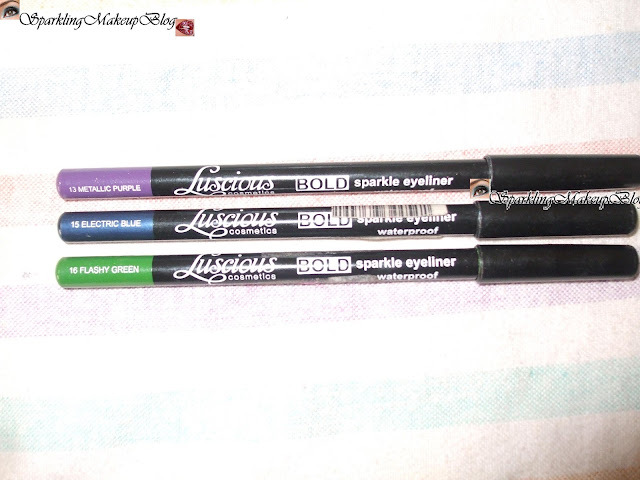 Luscious Bold Metallic Eye liners are for 285 Pkr each. 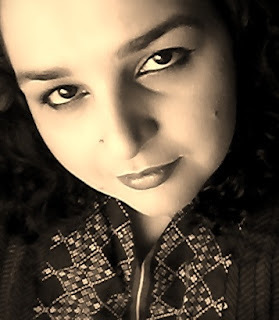 Can be easily found on Luscious cosmetic's counters nation wide(Pakistan). 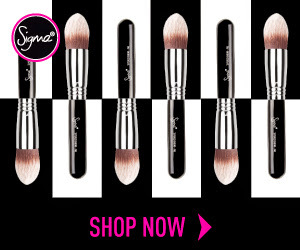 You can visit there website for online shopping with free delivery Here!!! 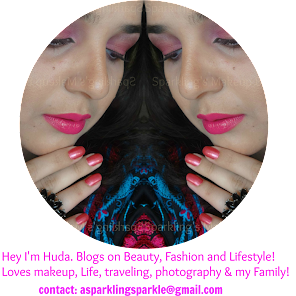 To read my other Luscious cosmetics posts Click HERE!!! Hope you like the post? Do share, comment, like, tweet and G+ this post to spread the love of Luscious Cosmetics. 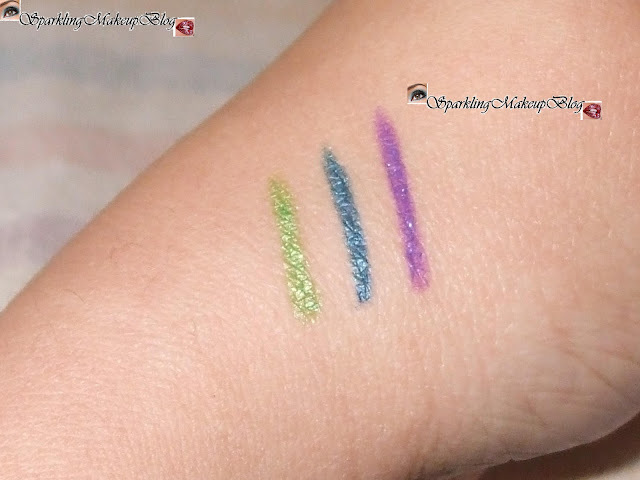 Have you given a try to these Bold Metallic eye liners? Wow! I super like the colors and I wanted to try it out too. I want to try first the metallic purple. I love purple so I guess I will grab this one out. Can't wait to have one and try it out.